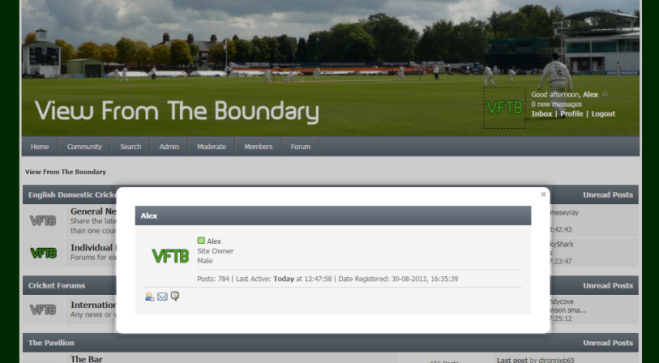 The team are pleased to announce that over Christmas the forum has been going through a re-branding exercise and we are pleased to announce the new name for the forum is View From The Boundary. 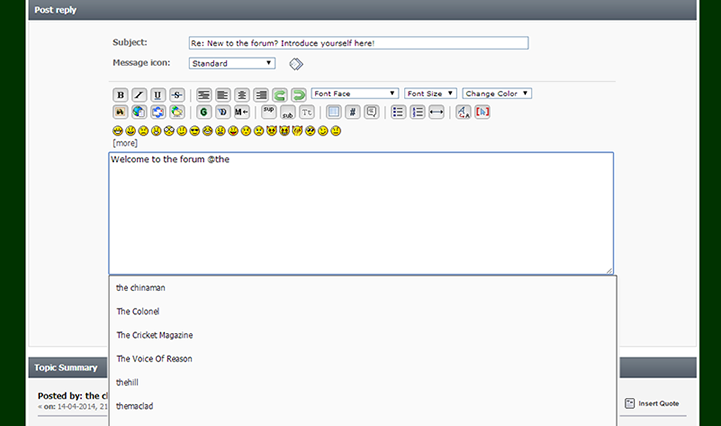 Not only have we redesigned the forum but we are creating a dedicated website. The new site will be going live soon and the forum will be transferred over to the new domain at the same time. Along with transferring over to the new domain and redesigning the site, the team have updated the county page to show the individual county logos. You can see the changes by clicking here. We hope you like the changes and if you have any suggestions or comments about the site please could you leave them here. Last edited by Alex on Sun Mar 16, 2014 4:19 pm, edited 1 time in total. We have now installed a mentions feature, if you want to tag a member in a post just use "@" and then the members name. It will work with the alerts system that will be coming back very soon so you can quickly see when you have mentioned in a post. Last edited by Alex on Wed May 07, 2014 10:05 pm, edited 1 time in total. Last edited by Alex on Wed May 07, 2014 10:30 pm, edited 1 time in total. We have installed a new feature on the site: "Profile Popup" This new modification will work well with the existing features on the site and it will help make communication between members easier. Now when you want to check another members profile, a popup loads up meaning you no longer have to leave the page you are on!